Its dog eat dog season again in Zimbabwean telecoms. Blame it on the economy, the tough stance taken by the regulator against operators or just a changing business model that is being disrupted by tech, but things are far from what they used to be. So how are these guys adapting to all this? First, Econet hogged the limelight by controversially revising and re-categorising its social media packages followed by the Daily and Dream bundles. Telecel in the past week answered with 3 consecutive voice promotions announcing its come back and its intention to stay. 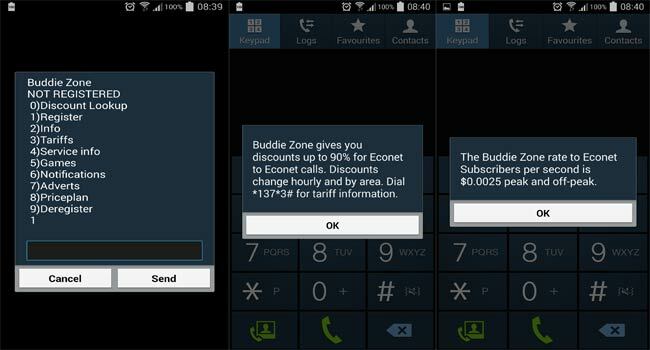 Now, Econet seems to have hit back and reintroduced the Buddie Zone promotion. It is not yet official but various users have begun sharing the tip to activate the Buddie Zone subscription. Dialing the USSD code *137# reveals a long list of 10 options including registration, Buddie Zone information and Discount lookup that gives you the current rates according to your location. An Instructions and a Help option assists users to navigate the new offering. The previous Buddie zone(which was also introduced unofficially at first and later met with some scrutiny from the regulator) was a discount promotion that gave lowered rates of up to 90% for on-net calls depending on the caller’s location and the time of day. The new promotion indicates rates as low as $0.025 during off peak hours. I tested it around 8 pm and indeed received a notification of 90% discount both in the Harare business district and 25 km out of town at about 9 pm. This move by Econet seems to be a customer ring-fencing reaction to the Telecel to Telecel free night calls just in case some ex-Telecel users were finding value in the new promotions and deciding to move back. In addition to the on-call notifications, Econet will also use the SMS Cell broadcast option which users can choose to turn on or off. 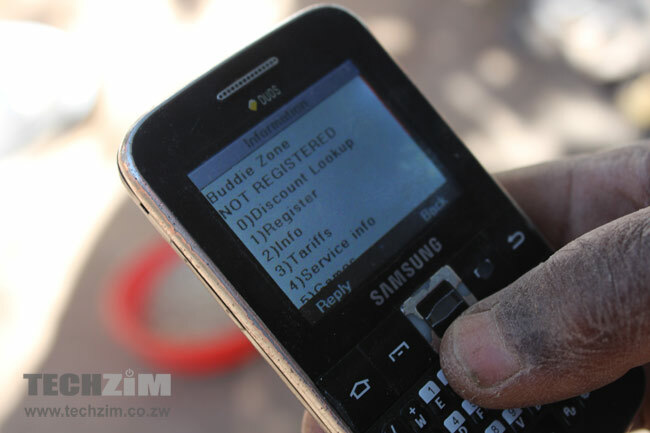 Within a certain geographical area, most likely within the radius of base stations, Econet can send SMS messages to subscribers with various information including current Buddie Zone rates. The new Buddie Zone also comes with a new game feature which allows subscribers to play Trivia competing against other subscribers whose scores can be checked under the game menu. I am not sure how this game is supposed to play out considering the unreliability of the USSD platform. It would really be irritating to receive a “MMI code error” when you are just about to break the reigning record.